The WBC middleweight title has been kidnapped for ransom. Back in 2014 Miguel Cotto, an outstanding welter/super welterweight, caught a huge break when he was chosen to relieve ailing warhorse Sergio Martinez from his middleweight title. It is not clear how he qualified for a title fight at middleweight without having ever fought in this weight classs. He had lost his super welterweight title to Austin Trout and after that fought and TKOed Delvin Rodriguez in a non-title super welterweight bout. It would appear he was handpicked to succeed Sergio Martinez who was 39 at the time with a history of serious injuries and retired after the fight. Cotto won the title in emphatic fashion and performed remarkably handing Martinez his second stoppage loss. He became the new WBC middleweight champion and positioned himself for high profile fights. There was one problem – Cotto did not want to fight middleweights, at least not dangerous ones and wanted absolutely no part of his mandatory challenger Gennady Golovkin. The new champion grabbed the title and ran for a whole year. Finally he had to make a formal voluntary defense at catch weight against Daniel Geale, a no risk opponent who was required to dehydrate and drain himself by dropping some extra pounds. After this fight Cotto made the following statement: “You think I’m a middleweight? I’m not.” That was his answer to those who expected a fight with GGG. He had no such qualms when fought Martinez and there was no catch weight nonsense either. As it became clear Cotto would simply not fight him and would hold the title hostage, Golovkin agreed to step aside and let Cotto defend against Saul “Canelo” Alvarez. Needless to say the fight was contracted at catch weight, in this instance it was 155 pounds. GGG was supposed to get a step aside fee of 800 000 $ which Cotto refused to pay and he was stripped of the title prior to the fight. As a result the sanctioning fee of 300 000 $ wasn’t paid either so the WBC technically had no business in this fight. Canelo was a super welterweight and could not have been ranked at middleweight. The contracted weight of 155 pounds meant this was not a middleweight contest anyway. Miguel Cotto was stripped of the title going into the fight. The WBC middleweight title was clearly out of the picture. Curiously, it was declared the fight would be for vacant WBC middleweight title. It was vacant only for the unranked Alvarez, Cotto could not win it back even if beat Canelo as he did not wish to spend a million and change and fulfill his obligations. 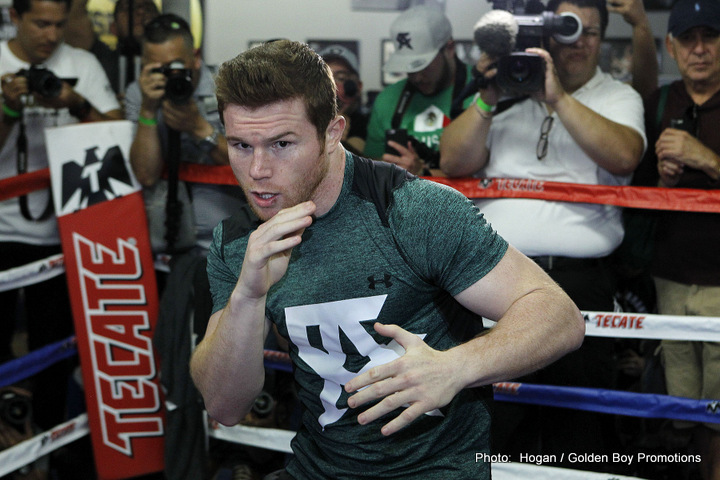 Canelo won and became the WBC middleweight champion without having ever fought at middleweight. The middleweight belt holder is still expected to make a debut at 160 pounds. Now the absurdity involves surreal humor as the super welterweight Alvarez will defend his middleweight title against the welterweight Amir Khan. Khan has been begging Mayweather and Pacquiao for a big pay day but they did not see a credible opponent in him. He has three unavenged losses and has been KOed by a lightweight and a super lightweight. He is not even the champion at welterweight but he is bravely jumping up two divisions to fight for the middleweight title. Khan may have hand speed and good boxing skills but he did not have enough punch power even at welterweight. It takes a stretch of imagination to see a chance for him against Canelo. He needs a miracle. If he is obviously doing this for the pay day, what is Canelo’s excuse to pick on a light punching no-hoper? Defending the middleweight title against Khan is like beating a girl for a parking spot at the mall. There seems to be a new set of rules for the middleweight champion: in order to become the champion you must have never fought at middleweight and you must defend against unrated challengers who have never fought at middleweight. If you venture a fight at middle weight against a middleweight proper – forget it, they hit too hard.